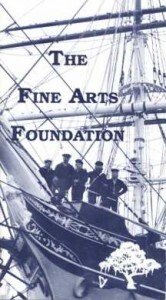 The Fine Arts Foundation, established in Houston in 1986, explores and encourages artistic expression through various media, including visual, performing, literary and digital arts. To accomplish this purpose, FAF includes within its scope Cultural Studies in which the rise and progress of human civilization is explored. The classical expression of art is a vital part of our vision, but central to our mission is the recognition of the creative impulse found in “folk culture” wherever it may be found in humanity from earliest to modern times. It is our view that the incredible human potential for creativity resides in every person and takes many forms within both trained and untrained persons. With such parameters, human history and experiences evince the presence of the creative artistic Spirit. With such divine power, art births, nurtures, and inspires human progress from Alpha to Omega.